Versace is the brand for those who love glamorous luxury and standing out with unique and personal style. Their innovative designs and refined eyewear collection praises the elegance and timeless exclusivity of the Maison. The Italian brand can be considered the architect of the modern fashion with its theatrical, rock’n roll and celebrity inspired style. Everything is combined with a strong sophisticated edge. Elements of pop culture and contemporary art are their bigger influences. 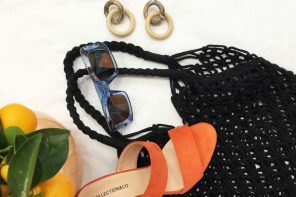 Trying to create trendy pieces to suit the needs of fashion lovers is their goal. The new Versace SS 2017 campaign focuses on mixing modern features with rock’n roll. And of course everything is crafted with the most exquisite materials. Let’s have a look at this new fantastic collection designed by Versace. Bruce Weber is the director of the new advert campaign starring top models Edie Campbell & Mitchell Slaggert. 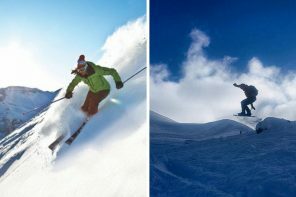 His main inspirations for this new ad came from the ocean breeze and movement of wind sales. He encapsulates the freedom and dynamism of summer in the SS17 Versace collection for all genders. The video is set amongst a background of the beautiful country-side. A strong rock influence is evident in the new line. 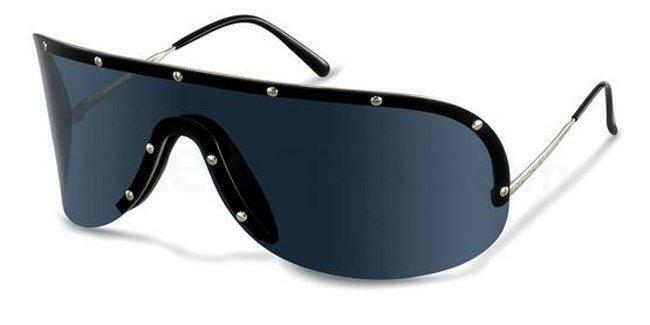 Studded sunglasses have become a hot item to flaunt this summer. 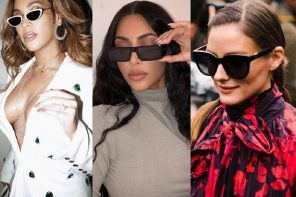 These Givenchy GV 7057/STARS sunglasses with trios of star detailing are a good match to the new Versace eyewear line. Edie Campbell is known for her eccentric freshness and British glamour. By now the most wanted model of the moment, she is the new face of Versace SS2017. She considers herself a free soul, and it’s not by chance that she is also a horse lover. In the video we can see her play amongst the horses. 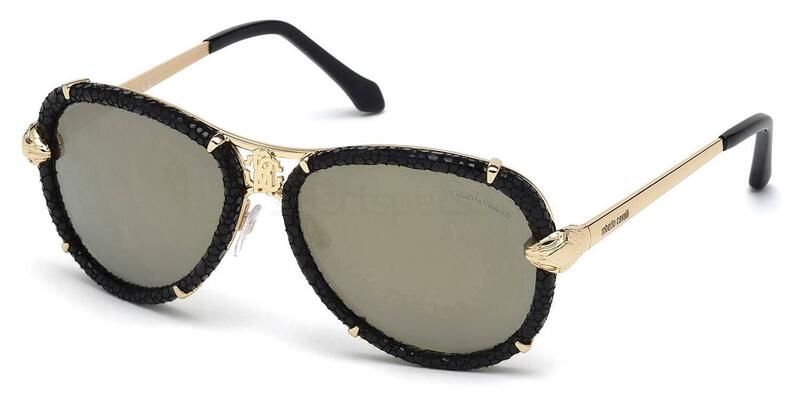 The punk, rock style of these new Versace sunglasses are a statement of fashion. Absolutely one of my favorites for this season. Created for the free and wild soul, those who admire the wind, love to move freely and flaunt their own unique personal style. 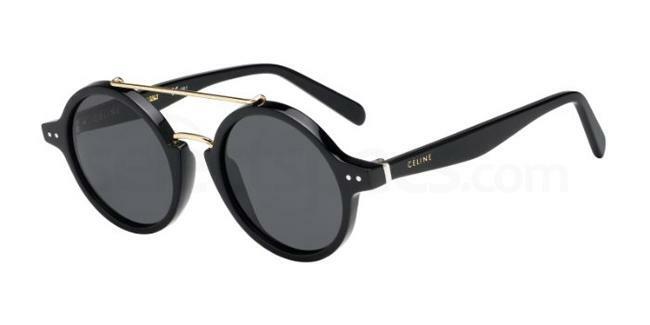 The following Celine CL 41436/S sunglasses are a close match to the new Versace eyewear collection shown above. For those who want to be stylish and sophisticated in the same time. The Roberto Cavalli RC885S frames come in rock chic style; the most glamorous sunglasses to have in your wardrobe. 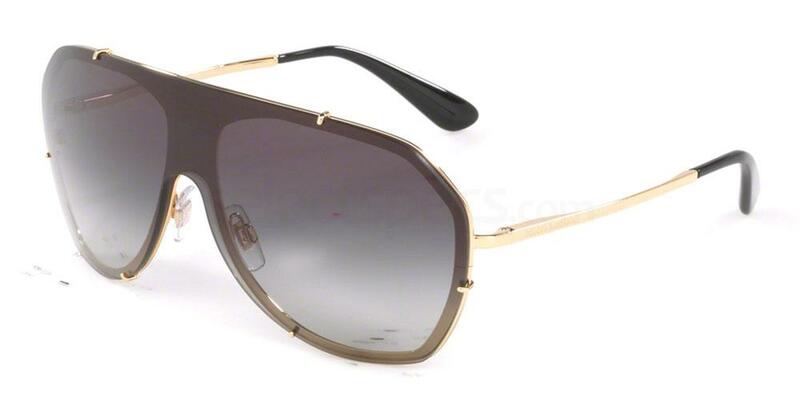 These Dolce & Gabbana DG2162 sunglasses will give you that decisive and bold look to flaunt in every occasion. Mitchell Slaggert, is the gorgeous male protagonist of the new Versace campaign. Elegant and modern, he poses like an “emperor” of our times, with a purple mantel and fashionable large framed sunglasses. 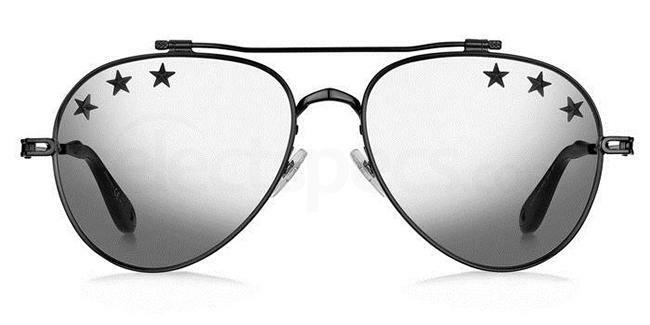 If you want to feel powerful this summer, try these Porsche Design P8479 with some punk detailing. They will make you feel like a modern “emperor” for sure.